At the North Wales Junior championships, held in Llandudno on 12 November, WCM Imogen Camp won the under 18s, Zachery Bragg won the under 11s, and Llya Taylor won the under 9s. Congratulations to Ifan Rathbone-Jones for coming joint first in the Cheshire and North Wales under 18 Championships, which were held in Chester on 12 November. 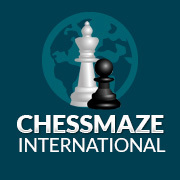 This announcement invites WCU members, registered as Welsh with FIDE, to let us know by 31 December whether they may be interested in taking part in one or other of these events (and in which sections) by e-mailing Peter Bevan (internationaldirector@welshchessunion.uk) and Howard Williams (chairmanofselectors@welshchessunion.uk). On Sunday 20 November, The Dell, Chepstow, won the regional semi-final of the ECF under 11 open. Alex Bullen finishes equal 2nd in 2016 Malta Open!! Congratulations to Alex Bullen who finished equal 2nd at the 2016 Malta Open!!. The 2016 South Wales Autumn Congress took place between 7th-9th October. The results of the 2016 South Wales Summer Open was held between 27th and 29th August. Congratulations to The Dell, Chepstow, for winning the Cardiff Stadium team-of-ten event for the third time in a row.